To thrive, innovation requires a culture that supports human-centered exploration and experimentation. Rogue corporate entrepreneurs are not effective at the kind of repeatable innovation a business needs for continuous improvement and growth. While the passion and drive of employees is a necessary part of innovation, it is not sufficient. Without an organizational culture that encourages innovative ideas to be tried, tested, sometimes failed and always learned from, those driven employee’s efforts will not gain traction even if their idea is a good one. Worse, those passionate employees will lose faith in the business and burn out. Building a culture of innovation is hard but not insurmountable if you take a long-term systems approach to innovation; if you move away from the quick fix, silver bullet style of innovation competitions that has become vogue in the 21st century. The good news is you have your own silver bullet — the people in your organization who are all just as motivated as you to do better; take a look at Beyond the Champion: Institutionalizing Innovation Through People, written with Gina C. O’Connor and Lois S. Peters for more about how an organization’s people are the secret sauce for a business’s breakthrough innovation. 8. Build skills and talent that are different from R&D. Often R&D teams are inventors, but true innovation requires problem seekers who are good at finding problems that need to be solved by your business and only your business. 7. Create metrics and rewards for more than incremental innovation. Continuous improvement is a requirement for growing businesses; its impact on the core business is usually easy to measure. Measurement of innovation outside the core is harder to measure but a necessity to keep the business focused on growth. 6. Develop processes and tools that the whole organization follows. One of the three components for successful culture change is providing tools that make it easier to do things the new way than stick to the old way. 5. An inclusive organizational structure that supports innovation. It is key that innovation becomes part of everyone’s job, even if that means you need to move things around so there is shared ownership. 4. Mandate and scope for breakthrough innovation. Learning and failure are a requirement for you to discover ideas that have a potential for bigger impact in your business, industry and for society. 3. Governance process for investment in breakthrough innovation. Although the bureaucracy of governance seems like an antithesis to the creativity of innovation, intentionally managing an investment portfolio for innovation is crucial for ensuring ideas have space to flourish. 2. Develop system-wide resources dedicated to innovation. Just making innovation something that everyone does in their “spare” time is a sure way for good ideas to whither and die. Create new roles, people whose sole job is to support innovation efforts and continuously improve your innovation systems. 1. Leadership willing to commit to a culture of innovation. Make innovation a core part of your strategy; ensure leadership commits resources and their own personal time to advocating, supporting, participating in innovation. R&D teams who believe they know better than customers, and therefore think that talking to customers is a waste of time. While it is true that many of the great engineers I have worked with in R&D had a fantastic vision of new technical solutions, they often missed the usefulness and usability of their ideas in the real world. “No great idea passes first customer contact” is their frequent lament. Management who rewards quantity of ideas rather than quality of outcomes. Rather than rewarding teams who dug in deep to really understand the root of a messy problem, these organizations reward new apps and shiny gizmos. Suggestion boxes or hackathons where the people who passionately suggest ideas don’t get to work on seeing them to fruition. Not only do employees become disillusioned and stop making suggestions, these individuals are typically closest to the problem (and the customer) and their ideas are just the beginning of innovation and the organization loses the creative insights that could help the idea evolve into something bigger. Organizations who deem innovators a failure if their innovation fails. This is a big one because it teaches the organization to only think small and avoid big risky ideas that have the potential for the biggest reward. And they keep people from testing their ideas with customers who might not like them, and might take them in a different, better direction. A corporate culture that separates and labels groups of people as creative or innovative, and those that are not. I worked in organizations like this and it fostered prima donnas, people who thought working on the guts of the operation was beneath them. Yet this is exactly where their ideas were needed. And on the flip side, the operation work horses were needed to figure out how to scale an idea. Teams who don’t trust their own instinct and the feedback they receive from customers, instead trying to copy their competitors, which is always a losing proposition. These teams might talk to their competitor’s customer but attempting to deliver the experience they desire will always leave this team two steps behind, trying to capture someone else’s secret sauce instead of developing their own. I could go on. The point is, I have been a corporate entrepreneur in all these cultures and it was hard to get these organizations to innovate. I had to work twice as hard to ensure we stayed true to our course. And I was always worried that I was going out on a limb, risking my career for the sake of pursuing a good idea for the organization. In fact, when I interviewed fantastic internal candidates to join a new business I started, they would often shy away, stating it sounded too risky. In the next few posts, I will walk through each of the steps above, exploring how to implement your Human-Centered Innovation culture. These are things you can start to do as an individual contributor or team lead to create a sandbox that will welcome your great ideas and reduce the professional risk you face when you innovate. The good news is that this is an iterative and Agile approach that will allow you to start to reap the benefits quickly but fair warning, it may take three years to do a complete transformation especially if some of these insidious behaviors are entrenched in your organization. I believe that working intentionally one day at a time is what will get you there. To get started, I suggest Caroline Webb’s book, How to Have a Good Day, which explores how to use intentional action every day to change your work environment. As a bonus, I created this Intentional Day template based on what I learned in her book; I have found it really helps me focus on what I want to get out of each day. Let me know how it works for you. 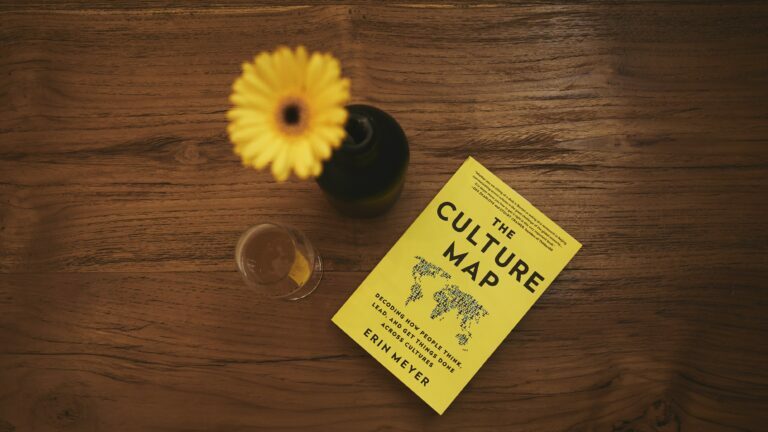 Ready to Upgrade to a Culture of Human-Centered Innovation? Get started building your culture of customer of Human Centered Innovation today. We take an iterative approach and so can you. All it takes is that first small step and you will never look back.